Description: Delicious dessert squares with chocolate and pecans. Just like Grammie used to make. Melt Butter and shortening in a medium pot on medium heat stirring constantly then add brown sugar and blend. Stir until mixed then remove from heat. Bake at 350 degrees in a greased 9x13 pan for 30-35 minutes until it tests done. Test center with knife. Let sit 10-15 minutes before removing from pan. 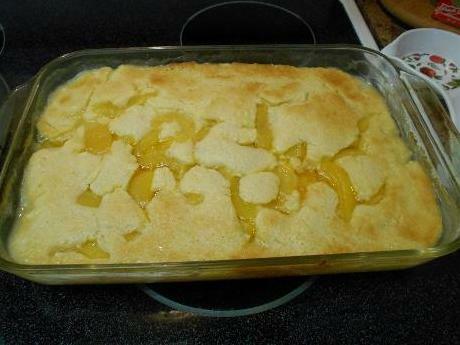 Cobbler is super easy to make!